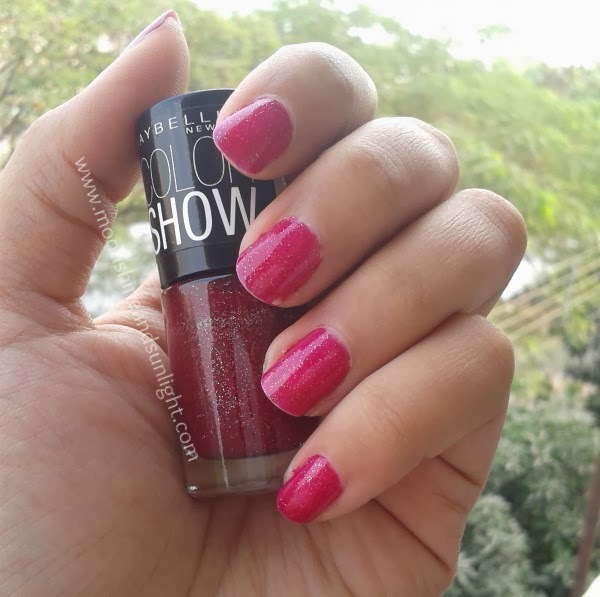 It has been quite some time the Color show range by Maybelline has been launched and I know that I am a little late to review this. But the color I am gonna show you today is just fabulous and for me more so , because I love glitter ! And suddenly I have started to fall for pink! 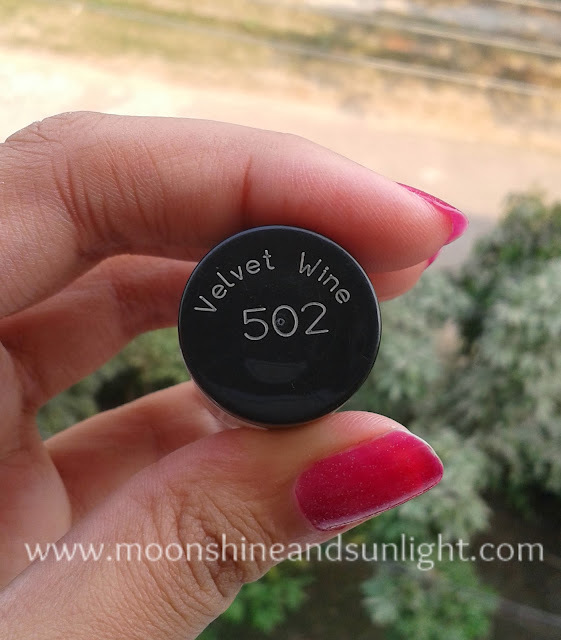 The color Velvet Wine can surely be related to wine as the color of this very shade resembles a lot to the color of nice red wine, not entirely but it does.I picked this up with these two check it out too. 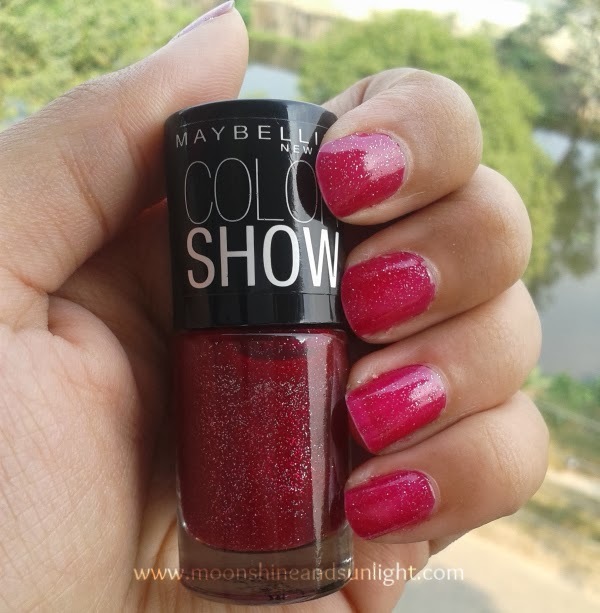 The best thing about this is that this is the only color in the Maybelline Color Show range with glitters and for that matter I would say that this "stands out" of the 40 colors ! Take a look on the pictures and decide for yourself how you like this ! 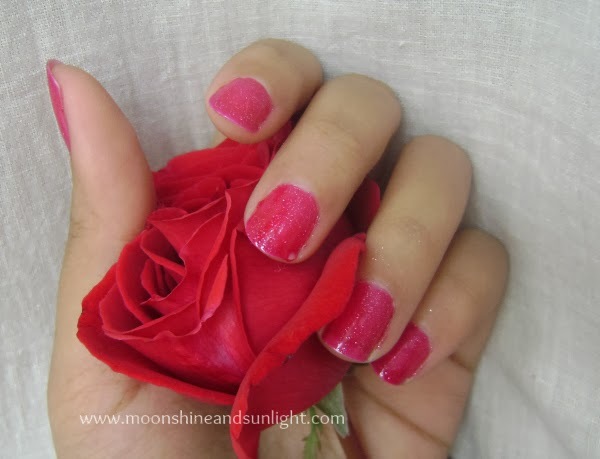 For me this is a color worth flaunting with out doing nail art on it ! I smudged a little on my middle finger :)! hehe ! that happens right ?? 2.The application is also good , the brush is good. 2.the opacity for this particular color is less. This result is after three coats. All in all I would say it is worth a buy! 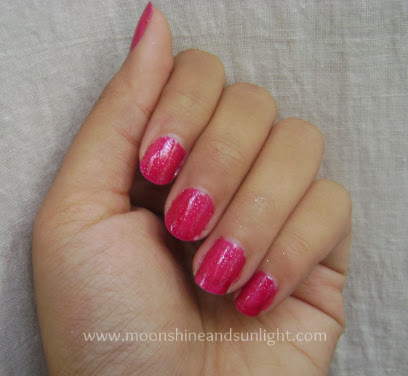 It can also be used as a top coat if you like :). I couldn't resist putting up this picture ! hehe ! 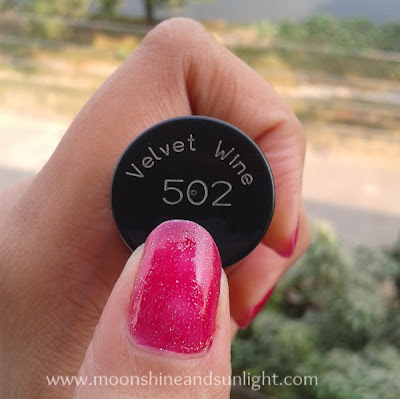 I clicked this picture while clicking for the NOTD. Hope you enjoyed my review :) And this is my last for this year ! Have a Happy new year every one ! 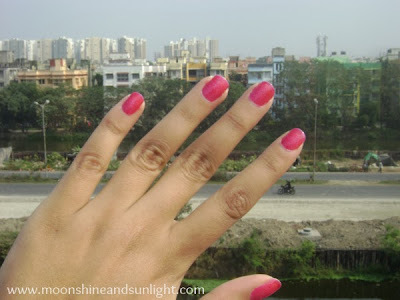 Nice as usual, Priyanjana :) love the color! that is what sets this apart from the others ! I loved the clicks Pri!!! I want this one!